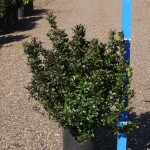 A compact male holly, with shiny dark blue-green leaves. The foliage takes on a burgundy tint in the winter. 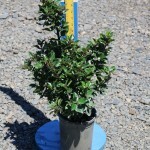 It will pollinize blue holly females. 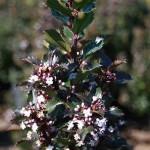 The small, white, male flowers appear in spring. It is adaptable to most well-drained soils and sunny to lightly shaded areas. PP 16,151.